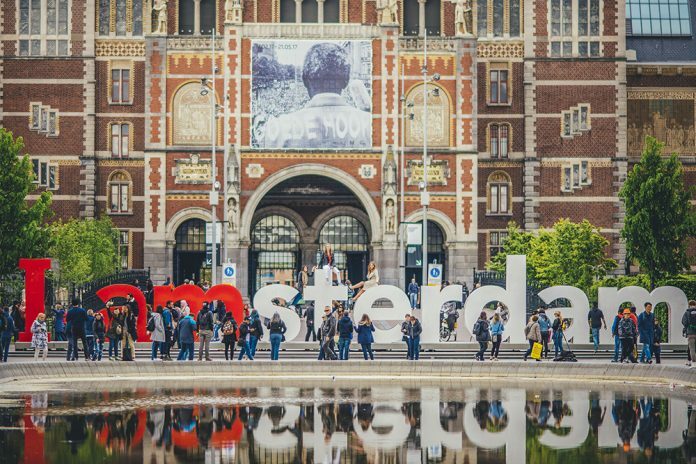 The global expansion of the World Poker Tour and WPTDeepStacks hits Amsterdam next week. From April 13-20, Holland Casino in Amsterdam is the home for two major tournaments from one of poker’s largest brands. WPTDS has traveled to Belgium, Portugal, and France in the last 12 months and makes a return trip to Amsterdam. The WPT is in Amsterdam for the second time in Season XVI. In May 2017, Daniel Daniyar won $166,344 for defeating a field of 224 entrants. That event was the second of the season for the main tour. Europe is proving to be a hotbed for the WPT brand in the last 12 months and the combination of the two events into one week is starting to become a tradition. The WPT opened 2018 with a Main Tour and WPTDS event in Germany at the Spielbank Berlin Casino. The two events offer players a chance to win championship packages that can be used on the American side of poker. WPT European Championship winner Ole Schemion earned $255,352 for his win and is now one of at least 16 players who have a $15,000 seat waiting for them at the Tournament of Champions. WPTDS winners in Season V of the tour earn a seat in the season-ending WPTDS Championship in December and all players who cash earn points for WPTDS Player of the Year. The action starts on April 13 with the WPTDeepStacks competition. The €1,500 buy-in event carries no guarantee but the field is expected to hit somewhere in the range of 500 entrants. Players can expect the same structure as the one used in North American events. All levels are 40 minutes for the three-day event and entrants start with 25,000 chips. There are two Day 1s for the WPTDS Main Event with the final table wrapping up the four-day tournament on April 16. The WPT Main Tour offers a €3,300 buy-in and opens play on April 16. Two starting flights are available for players with a single re-entry available each flight. Levels are 60-minutes throughout and starting stacks are 30,000. WPT Amsterdam is a four-day event and wraps up on April 20. Both tournaments take place at the Holland Casino in Amsterdam. The property has hosted the World Poker Tour and WPTDS in previous seasons. The first-ever WPT Amsterdam event in Season XIV coincided with the inaugural WPT Tournament of Champions. Farid Yachou won both events for a combined $621,159. Andjelko Andrevic earned his first career WPT title at WPT Amsterdam in Season XV and collected $228,000 in the process. The two tournaments brought in 318 and 341 entrants, respectively. WPTDS is approximately halfway through their 2018 campaign and WPTDS Amsterdam is the 10th of 17 officially scheduled events. The World Poker Tour has only two stops left after WPT Amsterdam. WPT travels to Las Vegas for the Elite Poker Championship from May 4-6 and then back again for the Bobby Baldwin Classic along with the Tournament of Champions in mid-May. WPT Amsterdam also directly coincides with the WPT Seminole Hard Rock Poker Showdown.